Explores new ways to improve urban traffic management systems by means of forecasting traffic developments and by applying machine learning techniques. New self-adaptive approaches are needed that adapt at runtime to changing conditions and proactively try to omit negative impacts. Forecasts of traffic flows are used to transform technical systems, in particular a self-adaptive traffic control system. These forecasts are used to create a anticipatory adaptation of green phases at signalised intersections to upcoming traffic demands. 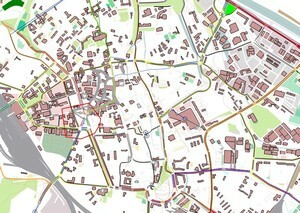 Furthermore, estimated future traffic developments are incorporated into a time-dependent urban route guidance system. At least, a genetic, rule-based machine learning technique is applied to detect congestion on highways and in urban areas. 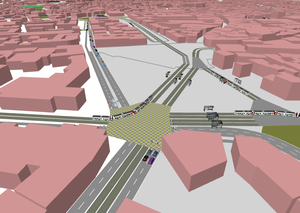 Conception and implementation of an intelligent, anticipatory traffic control systems using machine learning techniques and forecasting methods. Implementation in Java, traffic simulation in Aimsun 8, interface in C++ . Evaluation with R and Python.